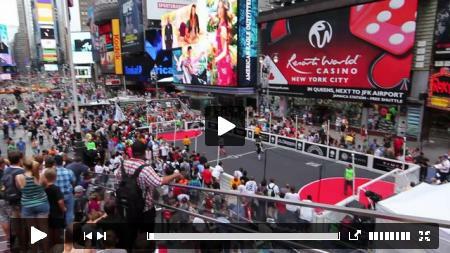 Street Soccer USA 2013 National Cup - Times Square Email not displaying correctly? Hi, I'm Lawrence Cann, the founder of Street Soccer USA. I made the video below because I don't want you to miss the opportunity to be part of the nation's premier sport for social change event, The Street Soccer USA Cup. If you love soccer, you know the game is about everything but the final score. It's about struggling together with your teammates, finding solutions as a team and testing your skills and willpower to succeed. 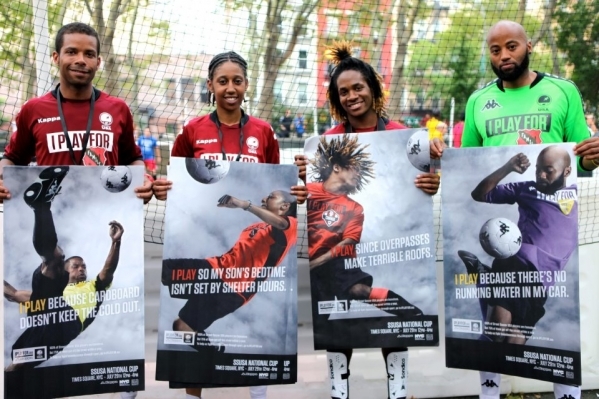 You'll get a chance to do all of this by signing up to play in the National Street Soccer USA Championships in Times Square -- Competitive, Corporate, Friendly and Youth Division slots are available for men and women. Test yourself and sign up now! You can also participate by donating or volunteering and proceeds from the event go to fund our social program that teaches life and job skills through soccer to homeless and at-risk youth and young adults. If you are part of or own a business, learn how to market yourself through our event by e-mailing us at event@streetsoccerusa.org for sponsorship opportunities. Check out the video, don't laugh at me, and sign up your team today.